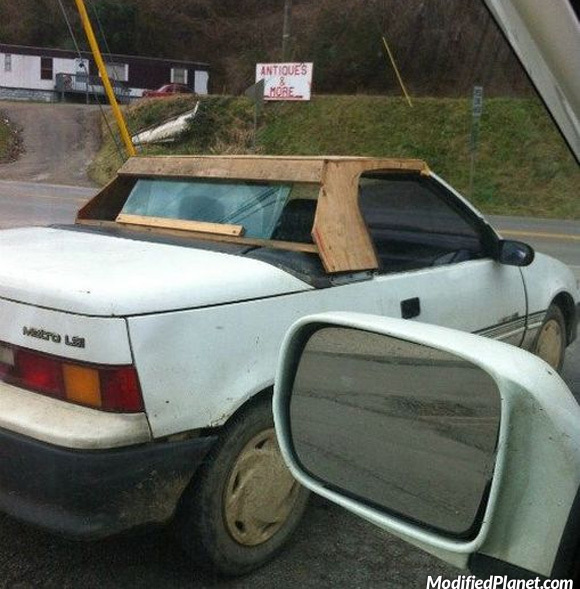 Owner of this modified 1990 Geo Metro LSi replaced the soft convertible top with one made out of wood. Car fail. 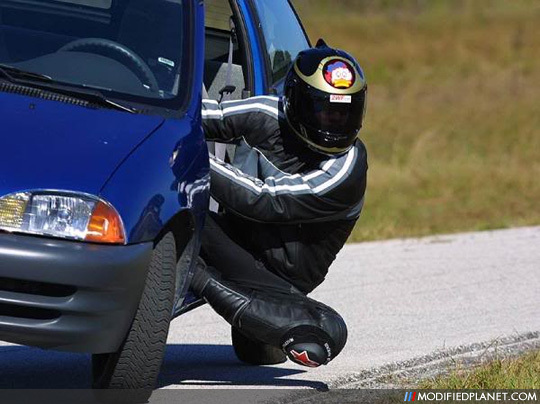 Not sure if this move meets track racing regulations.